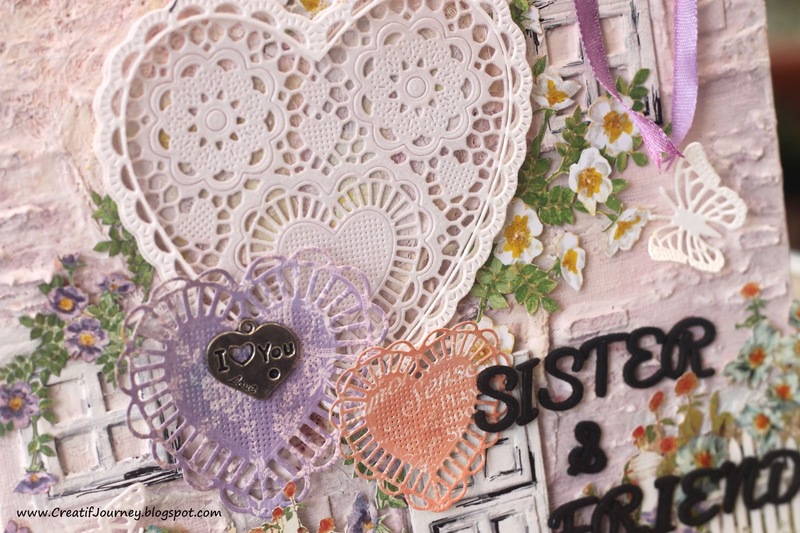 This is my entry to this week Cheery Lynn Designs Challenge #96 Hearts a Glow. It is a mixed media project combined with Graphic 45 Secret Garden collection. I have to admit this is one of those "On Going" project that has undergone tons of changes with the help of Gesso. Finally, I settled for a more shabby chic shade. - Small Exotic Bbutterflies DL112AB. The alphabets were cut from foam using Cottage Cutz Sugar & Cream alphabet die. Another look at the project without any photo. I wanted to make it into a photo frame where the photo could be changed. I cut two Heartland America hearts. I trimmed one of them to only retain the border to cover the PVC sheet on top of the bottom heart. A close-up look at the hearts. The original paper collection has a blue ribbon with a key. 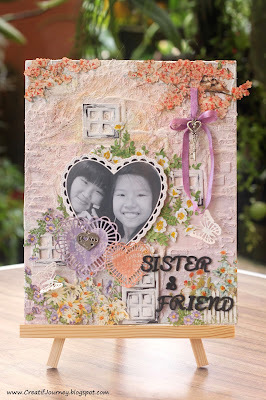 As I was going towards the lavender color theme, I colored my satin ribbon with Ranger Tim Holtz Distress Ink pad Dusty Concord. I also added more colors to the fuzzy cut flowers with the Ranger Tim Holtz Distress Markers (Spiced Marmalade, Mustard Seed, Dusty Concord). Tip: A new trick I discovered to enhanced my fuzzy cutting. As I cannot remove the small background areas between the flowers and leaves, I use "Bundled Sage" Distress marker to go over the yellow background. This hides the background and creates an illusion of more leaves. What a nice canvas! 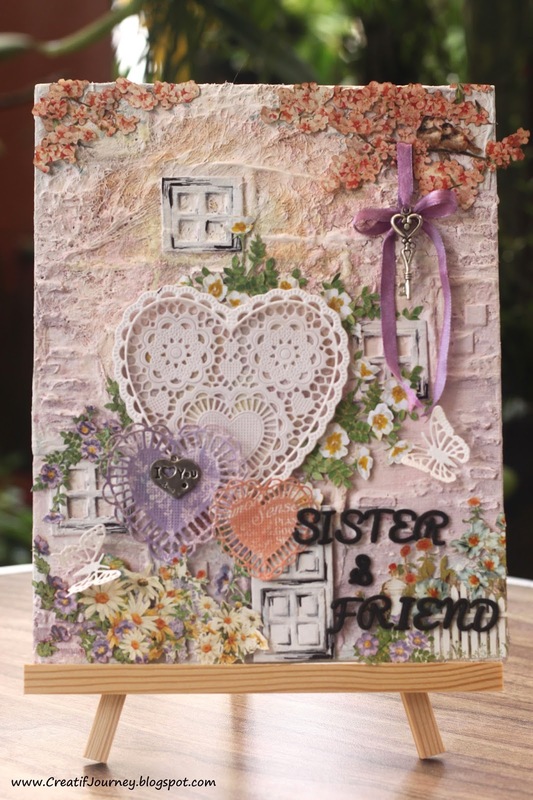 Thanks for joining us this week at the Cheery Lynn Designs Challenge and good luck!